Problematic drug use, both legal and illegal, by young people can have a serious impact on their educational attainment, relationships with family and friends and their health and well-being; preventing them from reaching their full potential. Schools play a fundamental role in providing drug education and in creating a safe and supportive environment that enables young people to develop their knowledge, understanding, skills and attitudes to drugs and drug related issues. It is a government requirement that all schools have an up to date drug education policy that is accessible to all and is reviewed on a regular basis. Schools should also ensure that their policy is developed in consultation with the whole school community including: pupils, parents/carers, staff, governors and partner organisations. Drugs education should be delivered as part of the PSH(C) E curriculum. Smoking is the main cause of preventable morbidity and premature death in England. Liam Donaldson, the previous Chief Medical Officer for the UK, noted that the Labour government’s policies for tackling tobacco use (including the ‘Smoke Free’ Legislation brought in during 2007) have had a huge impact on the amount of people recorded as smoking in the UK. Notably, he mentioned that ‘the number of young people smoking has halved.’ Nevertheless, he also mentioned that this is no reason to ‘rest on our laurels.’ It is still the case that the earlier that children become regular smokers, the greater the risk is of them developing a life threatening condition. In addition, those who start smoking before the age of 16 are twice as likely to continue smoking in adulthood and to become a heavier smoker (Muller 2007). Furthermore, rates of smoking among young people in Stoke-on-Trent are well above the national average and high adult smoking prevalence locally helps to perpetuate this cycle. Therefore, it is important that a comprehensive programme of smoking prevention and cessation is in place to reduce the number of young people taking up smoking every year in the city. School based prevention projects can reduce the amount of young people who take up and continue to smoke tobacco. The Department of Health asked the National Institute for Health and Clinical Excellence (NICE) to produce public health guidance on school based interventions to prevent the uptake of smoking among children and young people. NICE published this guidance in January 2010 and it is upon this guidance that our Policy has largely been based. This Policy has also been developed in line with the Smokefree Workplaces and Public Places Legislation, which required all workplaces in England to be ‘smoke free’ as of 1st July 2007, with it becoming a criminal offence for anyone to smoke in a smoke free area. This includes e-cigarettes. The school is a medium sized Church of England aided primary school serving the community of Trent Vale and Stoke-on-Trent. Approximately 55% of pupils are from white, British families. The area of Trent Vale and Stoke-on-Trent is disadvantaged overall and approximately 31% of pupils are eligible for free school meals which is well above the average. There are significant health needs in the area so the promotion of healthy lifestyles is in the best interests of the school and the wider community. It is essential that pupils are clear that the school’s policies apply both within school and when taking part in any extra-curricular visits and activities. Protect our staff, children and young people, visitors and contractors from the harmful effects of tobacco smoke because we take very seriously the evidence that second hand smoke can damage a person’s health. To ensure that we are providing a healthy and safe working environment for all employees, pupils, parents, contractors and other visitors. To comply with the Health Act 2006 (Smokefree Legislation); making it statutory for all work places to be smoke free. To acknowledge the crucial role of our school in discouraging children and young people from starting to smoke or enabling them to reduce or stop smoking. To commit to offering staff support for reducing or ceasing tobacco use. ‘E’ cigarettes as the ‘norm’. Smoking is not permitted in any part of the school premises, building or grounds. This cover pupils parents/carers, visitors and member of the public. Key stakeholder groups were consulted in the development of this policy including staff, governors, the LA, EWO, local PSCO etc. This Smoking Policy does not allow any smoking within the boundaries of the school site which includes e cigarettes, (with the exception of the caretaker’s home, as specified by law) at any time, by anyone – including employees, pupils, parents or visitors, under any circumstances. This policy forms part of a wider, whole school approach to promoting health and wellbeing and improving outcomes for children. We have involved our pupils, staff, parents/carers and governors in the development and implementation of a smoke-free site through a No-Smoking poster competition, the school newsletter and the Governors Health and Safety committee. It is the responsibility of the head teacher or his/her representative(s) to enforce this policy at all times. Any contractor/ external organisation employed to work on site will be made aware of the ban before work is undertaken. It will be written into service agreements for contractors/external organisations. Smoking will not be permitted by any cohort hiring the school premises for functions or regular lettings and this will be included as part of the hire agreement. John’s Primary School will make sure that No Smoking signage is put up in all buildings and grounds to make it clear that all areas are to be smoke free this includes e-cigarettes. We will publicise this policy and make sure that everyone can have access to it. All parents and staff will be informed of this policy and any changes to it. Parents and staff they will be sent a copy of the policy upon request. This policy can be viewed on John’s Primary School’s website. Staff members are not allowed to smoke in front of pupils or parents/carers including on school trips, likewise volunteers/parents/carers are not allowed to smoke on school trips. All new and prospective employees will be advised of the restrictions and rules regarding smoking at work through advertising material, the interview process and induction. Pupils are not allowed to smoke at any time on school premises. Pupils are not allowed to smoke on school visits or trips. Copies of this policy may be requested in additional languages. The policy will be verbally explained to those with special educational needs. The policy will be cascaded to parents and governors. It will be referred to in the school handbook for staff, included in the school prospectus and be accessible from the school website. For the purpose of this policy a ‘drug’ is a substance people take to change the way they feel, think or behave. This includes both legal and illegal substances, volatile substances (solvents), alcohol, tobacco and prescribed drugs. The aim of drug education provides the opportunity for pupils/young people to explore and develop their knowledge, understanding, skills and attitudes to drugs and drug related issues to enable them to make informed decisions. To ensure St John’s stays a smoke free environment inside the premises and in and around the grounds. We aim to equip children with the knowledge, understanding and skills to make choices that lead to a healthy lifestyle. At St John’s drugs education is regarded as a whole school issue and we teach the importance of a healthy lifestyle and healthy lifestyle choices across the curriculum. This is part of the whole school approach to PSHE with some input in each year of the school. 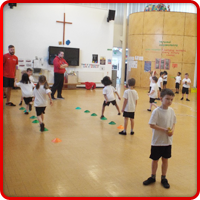 A healthy lifestyle focus week is held each year across the school. 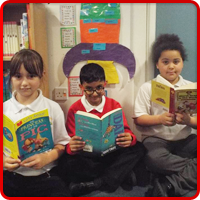 We are an inclusive school in which delivery of the curriculum will be age-appropriate. The delivery occurs in class, national curriculum subjects, PSHE lessons, assemblies and by visitors in school. Ground rules are established for discussion of sensitive issues, referring to rights to privacy, respect and boundaries. 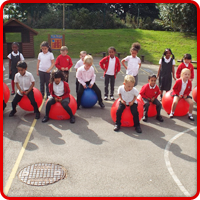 Children are taught using a range of methods which will encourage the active and interactive participation of all pupils including the police, school nurse and other agencies. Information is given that is comprehensive, accurate and unbiased. Young people should be actively encouraged to participate in their own learning and to question and think critically. The scheme of work ‘Hugs not Drugs’ is delivered across the curriculum. 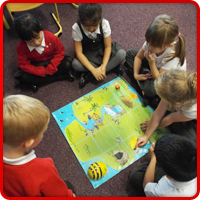 promoting assessment for learning – make pupils/young people partners in their own learning. The school occasionally uses outside agencies to deliver the drugs programme and this is in accordance with the guidance ‘Drugs. Guidance for Schools’ (DfES, 2004). If any issues arise that are confidential the school makes access of mentoring staff to assist pupils with personal issues. Mrs Ramsden (Home-School Link Worker) would address issues sensitively but also ensure that pupils are aware that child protection issues take precedence. Every effort should be made to secure the pupil’s agreement to the way in which the school intends to use any sensitive information. This complies with school’s confidentiality and safeguarding children policies. All staff should have a general drug awareness and a good understanding of the school’s policy for drug education and the management of drug related incidents and any other related policies. The Curriculum Committee of the Governing Body will monitor the drugs education policy annually. This committee will report their findings to the full Governing Body as necessary if it needs modification. The Curriculum Committee takes seriously any representations from parents about the drug education programme and comments will be recorded. Governors require the Headteacher to keep a written record detailing the content and delivery of the drug education programme taught in school. Monitoring and evaluating enables the school to identify the relevance and effectiveness of the drug education programme through the teaching activities and resources used and whether they meet the needs and interests of the young people. Drugs education will be monitored by the PSHCE co-ordinator and the Health & Safety Governors according to the monitoring cycle. Feedback recorded during monitoring and assessment of pupils against the aims and learning outcomes will all contribute to the evaluation process. Existing knowledge, understanding and skills. Name of staff member responsible for coordinating the school’s response to drug incidents: Head Teacher. The school requires appropriate written consent from parents in order to administer medication. This is then administered by a trained first-aider and a written record is kept. All medications are securely stored in a central location. A drug related incident is any incident where suspicion is aroused with regards to the possession or consumption of drugs. It includes incidents where members of staff have observed what they consider to be drug related, unusual behaviour as well as any disclosures made by a pupils or member of the wider school community. In addition to this, it includes any discoveries of unauthorised drugs or drug paraphernalia. The majority of Early Years staff are first aid trained and all of the TA’s throughout the school. Drug situations are to be responded to by at least two members of staff, one of whom should be a member of the Senior Leadership Team, preferably the designated member of staff (Pauline Bloor). Procedure is to, firstly, establish that no-one is in danger and summon a first aider. If it is a medical emergency an ambulance should be called. The pupil should be asked what they have taken and staff should establish if the pupil is still in possession of the substance and if any other school pupil(s) or person outside of the school (child or adult) is involved. Drugs incidents are to be followed up on an individual basis, dependent on the circumstances. Two separate members of staff are to deal with behavioural sanctions and pastoral care (one for each ‘role’). The law permits school staff to take temporary possession of a substance suspected of being an illegal drug for the purpose of preventing an offence from being committed or continued in relation to that drug providing that all responsible steps are taken to destroy the drug or deliver it to a person lawfully entitled to take custody of it. No member of staff at the school will dispose of substances themselves. If they cannot be collected by or delivered to the police immediately they will be kept in a secure location. This will happen at the earliest opportunity. The local police contact is PC Andrea Oaks who can be contacted at Stoke Police Station. When the drug incident involves finding drug paraphernalia on site The Local Authority will be contacted for safe disposal of syringes, etc. Bottle or cans of alcohol are to be disposed of ourselves with a record kept if this is a continual/frequent occurrence. The school would prefer to gain pupil consent and involve the parents in the process before conducting any search. We would inform the parent/carer at the earliest possible opportunity and work with them in the event of a drug related incident. Mrs Bloor (Headteacher) has responsibility for the school’s safeguarding children’s policy. Schools should make a full record of unauthorised drug incidents. Storage of sensitive information about pupils or staff should be stored in accordance with the requirements of the Data Protection Act 1998. A copy of the LA’s record of incidents form would be obtained and used to record incidents involving unauthorised drugs. Inclusion in mainstream education provides the structure and stability necessary when drug/alcohol and other problems are evident in a young person’s life and contributes to reducing other vulnerabilities. Where schools feel they have no choice but to suspend or exclude pupils, they need to ensure that there are adequate and appropriate care pathways available to the young people and their families/carers. John’s Primary School have integrated information about the health (and wider) effects of tobacco use across the curriculum. For example, facts about the effects of tobacco use are included as part of Science lessons. The side effects of e cigarettes are also discussed. We deliver interventions that aim to prevent the uptake of smoking as part of the PSHE curriculum. We support tobacco education in the classroom with additional health related workshops or events, such as health fairs. We encourage parents/carers to become involved in tobacco education by asking them to help with homework assignments. John’s Primary School works in partnership with relevant services, such as the Stoke-on-Trent Stop Smoking Service, to deliver interventions. All staff are involved in supporting the development of Drug Education and the Management of Drug Related Incidents policy. The school will share best practice with feeder schools around drugs education and the management of drug related incidents. It is the responsibility of the Headteacher to ensure that staff and parents are informed about the drugs education policy. Also, that all adults who work with children on these issues are aware of the school policy and work within the framework. The Governing Body has the responsibility to set down general guidelines on drugs education policy. The stop smoking service offers free support and advice to any smoker who wants to quit in a range of settings across the city. Stop smoking medicines, such as patches and gum, are available for the cost of a prescription (or free to those who don’t pay for their prescriptions) where suitable*. For more information on support available call 0800 085 0928. *Nicotine replacement therapy, e.g. patches and gum, can be provided for smokers over the age of 12 where appropriate. Other stop smoking medicines can only be prescribed to over 18’s. The website: http://smokefree.nhs.uk contains helpful information about stopping smoking and offers people the opportunity to order a free Quit Kit. The Blitz website: www.blitzblog.co.uk has been specially put together for young people who live in Stoke-on-Trent. The website covers a number of different lifestyle issues such as fashion, music, smoking and football. The website is funded by NHS Stoke-On-Trent and is designed to try and reduce the number of young people taking up smoking in Stoke every year, this, by providing prevention information in a format that they are used to. Young people are encouraged to sign up to this website whether they are a smoker or not. lifebyles.gov.uk (help for drugs/alcohol/healthy eating etc). Al-Anon 02074030888 (helps people affected by drinking/drugs. A reference copy can be located in the policy file in the school office. It can also be accessed on the school website and learning platform.